Millions of people suffer from allergies, a leading cause of chronic illness. Allergies can mean restless nights, itchy eyes, a scratchy nose, and constant sneezing. And yet most allergy patients lack the insights, tools, and personalised data to mitigate their condition. 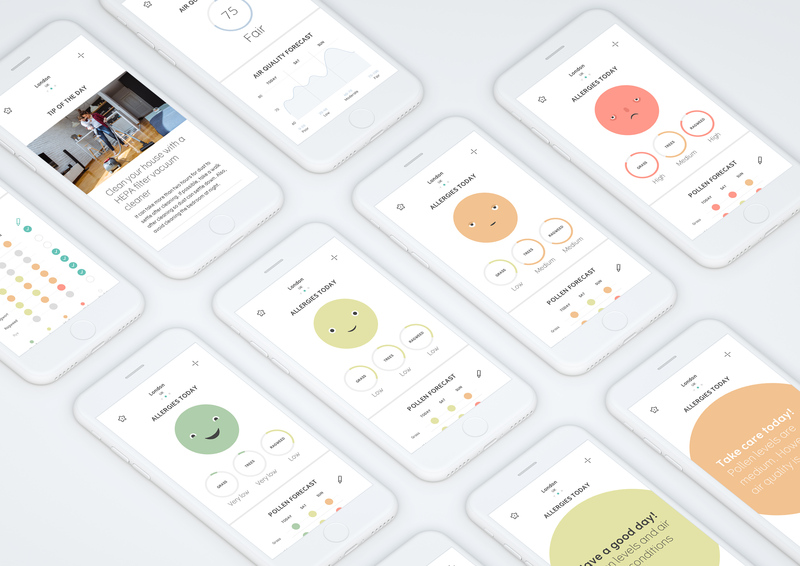 Working with the Allergy Lab Copenhagen (ALK), a global leader in allergy prevention, diagnosis, and treatment, we created an allergy companion app called KLARA! Our creation, offered by ALK’s consumer division Klarify.me, leverages extensive clinical research and knowledge to make living with allergies easier and better. The personalised patient information in the app includes a current pollen count for specific allergies, location-based air quality forecast, and an individual allergy log. Our collaboration with ALK and allergy patients taught us how seemingly small solutions can make a dramatic difference in people’s lives. As usage and adoption grows,the app is learning from user inputs and behaviour to make the recommendations even smarter and more targeted to each patient. Klara is available to millions of patients in Germany and UK through the Available for Germany and UK in the App Store and Google Play.